Established in 1976, we are a family owned and operated business in Beavercreek, Ohio servicing the greater Dayton area. We specialize in all of your outdoor needs, from landscaping and hardscapes, including paver installation and landscape lighting, to irrigation and drainage systems. 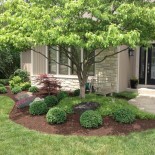 We are able to fulfill all of your landscape needs with our highly talented and professional crew members. From design concept to installation, you will work closely with the people who run the company so you can rest assured that your project will be completed to your satisfaction every step of the way. The majority of our customers come to us as referrals, a true testament to the attention to detail and high level of customer satisfaction we provide each and every time. Please look through our website to learn more about us, browse our photos in the gallery and read through our customer testimonials. Here at Beavercreek Landscape & Nursery, we love what we do and have a passion for customer service. 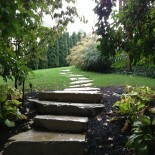 We look forward to hearing from you and finding out how we can help with your next landscape project!